Grouse hunting may be the ONLY reason to stay in West Liberty for very long! You guys don't have some hatred built up do you? Maybe if you let go of some of that hatred in heart you will focus more on the real important things in life. Those of us that live in West Liberty like it just fine. No need to put the city down. Maybe the kid's a grouse hunter. Still a decent population of grouse by all accounts in Morgan. Or maybe the city he lived in was filled with violence and gangs and his family wanted to bring him to a smaller town and raise their kids. Yep, that is it 100%. Regardless of how he got here the bottom line is this, he is here, he is eligible to play and attend school at Morgan. The school has welcomed him and his family with open arms. So Those few of us that support the school and athletic programs will continue to do so. No really, I love grouse. Honestly, I could really get behind that school if they would just change their name to the Morgan County Grouse. This site never ceases to amaze me. Grouse???? For the record, I wish they would go back to the Blue Devils. And I too like grouse. Morgan County Ruffed Grouse is better. Sounds a little meaner, I agree. 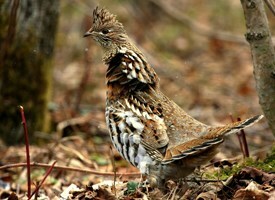 That settles it, I'll refer to them as ruffed grouse from here forward. I'm now a fan. The region is clearly wide open. Coaching will be extremely important this year. Greg Adkins has established himself as one of the best in the region and Perry has to considered the best at seeing his team's weakness and going out and finding a solution. The stupidity of some never ceases to amaze me. Last edited by Randy Parker; May 19, 15 at 12:16 PM. I do get on Jordan Perry s game, that he could do more. Elliott County surprised many fans by cutting down the nets last year & the young Lions return a lot of talent in 2015-16, but is it enough to make them the favorites? Jordan Perry returns as the 16th's top individual player, at least in my opinion, and should have Morgan County in contention for a championship in the Class "A", District, & Region. There is a new regime in Ashland, but is it one that can get the Tomcats back to Rupp Arena? Who do you see being the top teams and players in the 16th Region for 2015-16? Let's get the discussion back to this. Thread kind of died, lets get back to some basketball. It is still baseball for some, and by the way Spindoc GC started 2-6 and I didn't bash Coach Logan. Because he is areal coach, end season 26-10. So that's why I bash Tackett , cause he in the worst coach in state. I really love Basketball, but I 'm not looking forward for this year. will need to run and gun, and play fast. 100$ says it doesn't happen. Greenup will have its 4th losing season in a row. 16th is down, but wont help much. If Greenup played Morgan Co schedule , would have a few more wins. Or a pipeline. If Jordan Perry could only be as good as Gage Hughes everything would be better in Morgan County.